Healthy living goes back generations, but it has recently become a top priority for many homebuyers. For thousands of homebuyers across the U.S., total wellness has become a way of life, and typical amenity centers alone don’t make the cut when looking for a new community. Over the past 60 years, we’ve seen fitness and connectivity seamlessly – and gradually – blend into lifestyle. Technology advancements, such as wearable devices, are selling at an all-time-high, and emphasis on sports has shifted from the country club to outdoor recreational activities. The blend of exercise and a connected lifestyle is not a fashionable trend, but an active shift in a homebuyer’s journey that REALTORS must understand to best serve clients looking for healthy living through community, rather than just amenities. What is a Vital Community? From first-timers to those looking to trade-up or trade-down, home buyers across generations are moving away from the traditional amenities of a golf course community and searching for communities designed with a “Vital Communities” concept that includes miles of nature trails, open spaces, playfields, parks and organized events that promote physical activities like hiking, biking, yoga and more. Also important to the Vital Communities concept is providing spaces for gathering and cultivating active participation by residents, essentially creating a healthy living lifestyle that cultivates neighbors getting to know one another. People are looking to be connected to each other, a true sense of community, family, togetherness and belonging. The Vital Communities approach is backed up by comprehensive research conducted in local Texas markets by Reach Advisors, a New York-based research firm. Survey participants, all from the San Antonio and Austin regions, purchased a home in the past five years or are planning to purchase within the next five years. To best pinpoint clients, it is important to first know a more active lifestyle starts with an emphasis on outdoor recreation. Reach Advisors found that, in the U.S., individuals and families pursuing healthy lifestyles continue to accelerate among those with higher education. “One of the biggest consumer trends this decade is that outdoor recreation and fitness lifestyles have grown significantly among college-educated households,” says James Chung, president of Reach Advisors. “It’s changing how they allocate their time and spending, and where they want to live.” Common desires of this growing group are to pursue their favorite fitness passion and to connect. When it comes to age groups, there were some differences in preferences. Income-qualified prospective buyers in their 30s, who are typically married with children and have a desire to pursue outdoor recreation with family or a workout partner, mostly prefer new single homes in master-planned communities and are willing to pay more for a community with running, walking and biking trails, even if that means having a 30-40 minute commute. A population group that is expected to grow by as much as 30 percent by 2025, prospective buyers in their 40s with children are the most likely to “trade up” to a larger home. In the Austin area, 80 percent of respondents in this demographic group are considering buying a new home within five years, most preferring a large master-planned community laden with features. 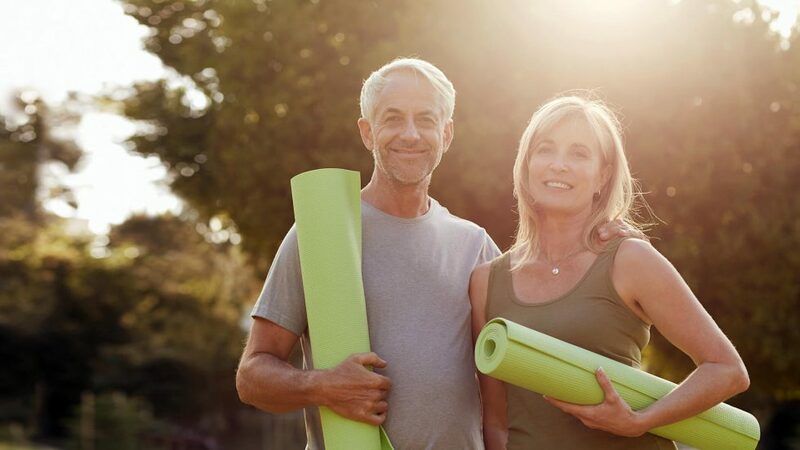 Men and women in their 50s and 60s perceive a healthy community to include a large fitness center, walking trails, as well as access to fresh, local produce and within close proximity to quality medical care. For the most part, participants across all age groups found a healthy living-designed residential community appealing, and indicated they are likely to buy a home in a community that incorporates a system for walking, running or biking and has neighborhood parks, playgrounds, resort-style pools and large fitness centers—features that not only promote fitness and well-being, but allow residents to experience these together as a family or as a community. Healthy living is not a luxury anymore, but a necessity. Aside from income, age groups and education backgrounds, we are living in a decade of total wellness where consumer health and wellbeing is a fundamental and accelerating shift, not just a short-lived fad. For REALTORS, recognizing where healthy living fits our clients can prepare us for navigating our clients to their dream community. To learn more about Vital Communities, go to www.freeholdcommunities.com.